Thanks to Heavenly Spirits I'm reviewing five wines by Domaine de Magnaut out of Gascony, France. I started with their Equilibre de Manseng 2014 and Euphorie de Rosé 2016, Les Hauts de Boilin 2014, and now I'm on to Manseng Sec 2014 before I conclude with Tannat 2014. 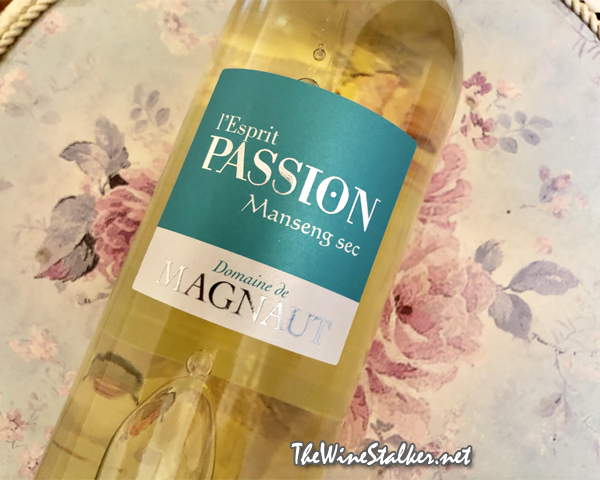 The l'Esprit Passion 2014 Manseng Sec is a a Cotes de Gascogne Blanc that's 100% Gros Manseng; a white grape variety from southern France that produces high acidity and juicy fruit flavors. The final ABV is 14%. The color of the wine is a light golden yellow. On the nose there's a floral cloud above aromas of mango, passion fruit, ginger, and even a bit of sharp cheddar. On the palate it's medium bodied with medium acidity and a slick mouthfeel. The flavor profile is like the juice from a fruit salad with chucks of ginger. Then it finishes with that fruit salad and ginger going on for a good while. It's pretty good, man. 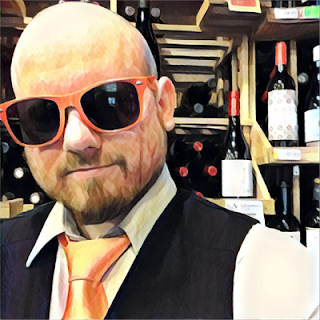 Their Equilibre de Manseng 2014 is the same price and I do prefer that one over this one. But I also gave the Equilibre a 5 out 5 so it's pretty hard to beat. This is drier and not as succulent and expressive, but it's still delicious and I'm still giving it a Recommendation.